This is a NASA illustration of a supernova. The big caveat here is that this is a single result and a single paper. To get there, the researchers relied on pen-and-paper work, as well as computer models, Abarzhi said. 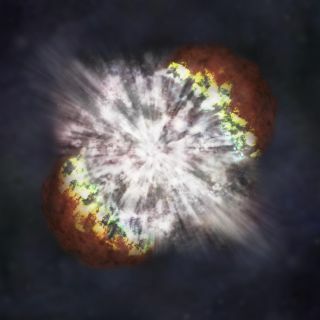 To confirm or refute these results, astronomers will have to match them against the actual chemical signatures of supernovae in the universe — gas clouds and other remainders of a stellar explosion.